Welcome to F1 Circuits Past and Present, the Sidepodcast mini series that takes a closer look at tracks that have hosted the pinnacle of motorsport across the years. This is the final episode, and so to finish we’re narrowing our gaze at an absolutely classic track, one that really lifts the spirits and makes each race it hosts an event to behold. The Brazilian Grand Prix is held at the Autódromo José Carlos Pace better known as Interlagos – its original name. The circuit was built on land that had originally been earmarked for housing, but after purchase, the developers realised it wasn’t all suitable to accommodation. Instead, in the late 1930s, a race track was born instead. The surrounding land was soon built up with housing, putting the circuit smack in the middle of the bustling city of São Paulo. The circuit hosted races of all shapes and sizes, but Formula One took its time to arrive. The first Brazilian GP was held in 1972, on the back of – as is so often the case – a successful driver. Emerson Fittipaldi was seeing good results in the sport, and the Brazilian fans wanted to cheer him on in a home race. The first race, a non-championship event, was won by Carlos Reutemann, but the following three official championship races were won by Brazilians. Fittipaldi took victory in 1973 and 1974, with Carlos Pace scooping the win the following year. Fittipaldi finished second, making it an all-Brazil front row, much to the home crowd’s delight. That was, however, the only race Pace would win, and the Brazilian driver was sadly killed in a plane crash two years later. The track was renamed to honour his memory. It wasn’t just the name of the track that changed, either, the layout was redesigned. The bumpy surface and longer layout threw up plenty of safety question marks, particularly with the ground effects aerodynamic design that was so dangerous. In the end, F1 left Interlagos and moved to another Brazilian circuit instead. The Rio de Janiero track had better facilities and hosted the event in 1978, and then again between 1981 and 1989. Part of the move could also be attributed to Brazilian racer Nelson Piquet, who was seeing his own success in the sport. That track was eventually renamed after him, but not before his results tailed off and F1 started casting about for a new venue once more. Meanwhile, Interlagos underwent a huge, intensive redevelopment programme, shortening the track, sharpening up the facilities and improving the safety measures. In 1990, F1 made a triumphant return to Interlagos, where it has been ever since. The track presents a great challenge for drivers, an anti-clockwise, fast-flowing layout with elevation changes aplenty. It was also known for the bumpy surface, although a huge resurfacing project ahead of the 2007 GP attempted to smooth things out. Initially at the start of the season, the Brazilian GP moved to be nearer the end, occasionally the final round on the calendar. As a race near the end of any title battle, Interlagos has hosted plenty of championship showdowns – including the classic head to head between Lewis Hamilton and Felipe Massa in 2008. The changeable conditions, fantastic layout, and hugely passionate fan-base give the race weekend a brilliant atmosphere that is perfect for a season finale. F1 may have put Abu Dhabi at the end of the schedule recently, but the rightful home does sit with Interlagos. 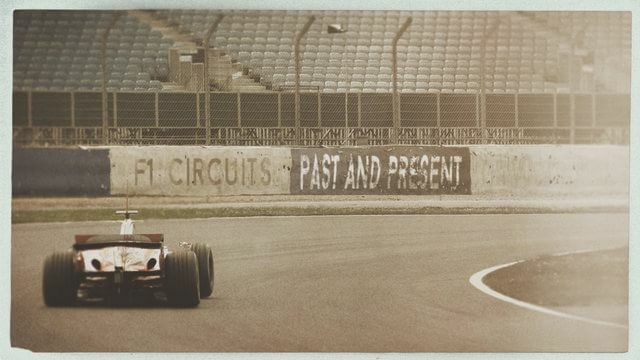 That’s all for this episode and this second series of F1 Circuits Past and Present. If you’re looking for something else to listen to, you can find out more about Emerson Fittipaldi and his brethren in the second episode of Racing Families, another mini series on Sidepodcast. Thank you for listening, and do share your thoughts about any of the tracks covered over the past seven days, or any you think deserve a look in future episodes. Send your feedback to Christine@sidepodcast.com or via the contact form sidepodcast.com/contact.